*Editor’s Note: The views & opinions expressed in any guest post on our site are those of the guest author and do not necessarily reflect the opinions and views of Lead Liaison. The impact of this “how-to” post can go either way — you resolve to “suspend” ties with your lead generation partner, or you stick to buying your sales leads from outside sources. 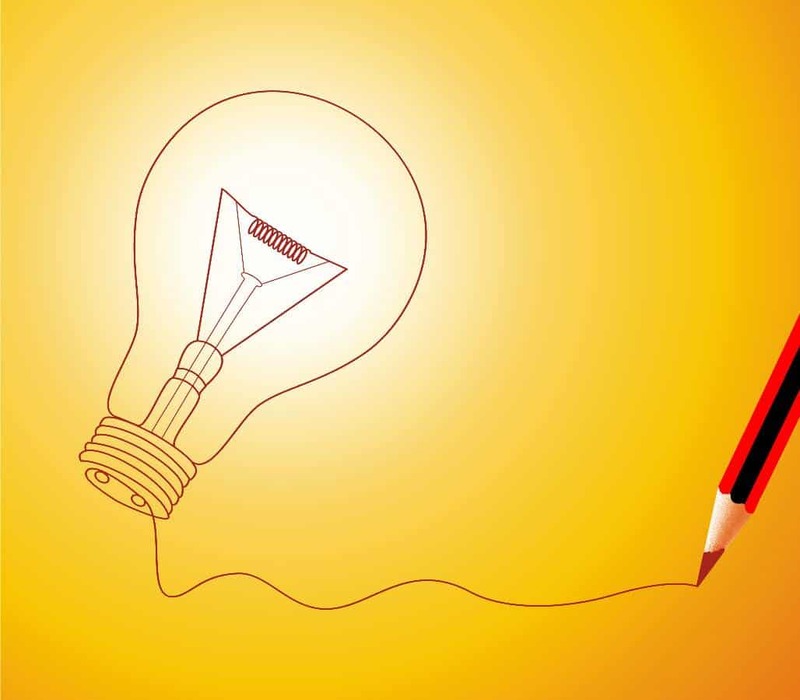 While the former would be the more ideal action response, ultimately, your choice will depend on whether or not you are sold on the idea of generating leads on your own. You might be holding back from inbound lead generation because you think it’s too complicated of a process, unlike the easy way out you conveniently choose in buying leads. 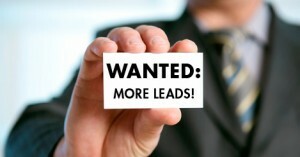 Why Generate Your Own Leads? Suppose you’re a Christmas tree manufacturer who, for the longest time, has relied on lead sellers for your marketing program. It might have worked in years past, but since a lot has changed in the marketing dynamics, you’d do well these days to be more active rather than passive in generating leads. It’s very easy to see, for example, how direct mail marketing pales in comparison to joining trade shows to showcase your holiday-inspired product line for homes and offices to potential buyers. 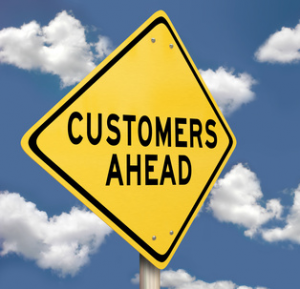 Instead of looking for customers, customers can find you where and when they need to. In such opportunities, you get more chances to introduce your product, generate instant feedback, and attract sales. It couldn’t get any better than that. The phenomenal power of the internet as an information gathering and sharing tool is very well pronounced in the grand scheme of B2B marketing. At any given day, you will find people turning to online search more and more, looking for information, ideas, or solutions that suit their needs. That’s why it’s important that you design your website in such a way that it attracts visitors who will eventually turn into a lead. Attract your target. 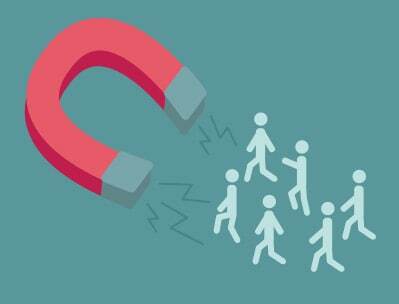 A buyer-seller relationship all starts with attraction. You want people to visit your site so they would know what you can offer them. To attract people’s attention, you need to build on your content, and you can do this in so many ways. Write blog posts. Create video presentations. Supply an infographic. Include testimonials and photos. The kind of content you offer will depend on your product or service, but the main takeaway is to craft your content with keywords that match what customers are looking for in their online search, putting a good amount of research in the mix as well. Suit up for your buyer persona. At this stage, you’re starting to get traffic on your website, and you don’t want to lose those page views, especially the ones from your ideal buyer persona. You’ll then need to engage them more by catering to their needs and giving them valuable offers, whether it’s research data, a discount, a product review or guide, e-newsletters, a free trial, or a no-strings-attached type of consultation. This kind of engagement works both ways: you are allowing your site visitors to know your identity, and at the same time, getting them to reveal more about their buying preferences. Then, you can match your selling process to their own buying process. Sidebar CTAs, which may not necessarily connect to your blog post such as an invite to drop by your booth in the holiday trade show example cited at the beginning of this post. Landing pages are the final contact points with your guests, where they fill out a form to possibly avail of your offer. So the more landing pages your website has, the greater the number of leads you can get. If you want more generic leads, use short forms to make them easier to fill out. On the other hand, if you want more quality leads, use long forms to ask more information about what your customers need. Thank-you pages allow you one more opportunity to upsell offers that are related to what your visitors just signed up for. Of course, it goes without saying that customers appreciate genuine messages of thanks for checking out your site. With this guide, hopefully, you’re on your way to generating your own leads than buying them. Sure, it’s a long way ahead, but now is the best time to start while you’re still at it. Johanna Rivard, PureB2B’s Executive Vice President, is a two-decade veteran of the online publishing, B2B demand generation, and technology media markets. Let’s get one thing straight: email marketing is not dead, nor is it dying. It is still one of the most effective means of generating leads and conversions for a business. The old ways may have died, but there are new elements rising into the spotlight that change how we look at our email campaigns. Today I’ll share several of the email marketing elements you should be using in 2016, followed by an infographic filled with the latest strategies that you can implement into your next campaign. Marketing automation such as drip campaigns and triggered message series are becoming more important to manage and nurture leads. Segmenting your email lists based on a variety of factors (such as whether they’ve purchased or not) will ensure that your emails are personalized and relevant to each category. Provide timely and relevant communication that addresses their needs. Offer exclusive content they can’t get any other way. Email marketing is a powerful tool in the right hands. Check out the infographic below for a closer look at today’s top strategies and let us know how it helps you in the comments! The dynamics of buying and selling are complex. Buyers have a hard time making a purchase if they don’t have much to go off of. For example, no reviews to look at, no other customers to talk to. Sellers have it just as rough too. Closing deals is not easy, especially if you’re starting a relationship from scratch. It’s much harder to convince prospective buyers to make a purchase if they’ve never heard of your company or solution before. As a buyer myself, I think about the recent experience we’re going through with a house renovation. We’ve got a three car garage and the third by in our garage is about to be converted to a mother-in-law suite. We thought that would be better than the attic ;-). I couldn’t tackle the project by myself, so we needed a general contractor to do the job. We contacted five general contractors. We found all five off of the Good Contractors List, on our own, with no references. Unfortunately, we didn’t know anybody that recently used a general contractor or went through a similar renovation project. If we did, and someone said – hey, try these guys out, they were great and we had a wonderful experience, you bet your bottom dollar they’d be our first call. Doing all the outreach and going through the process with these five contractors is painful and time consuming. When it comes down to it, people get lazy about all that research and most people will take the short route, which is the referral from someone else. Engage customers through email and/or direct mail campaigns created and delivered with your marketing automation system. Your marketing automation system should have an easy way for you to segment your database to target customers only. This is one way to go back into your database and get a touch point out to existing customers. For new customers, set up a trigger-based automation to have your marketing automation system detect new customers, then fire off the email or direct mail message asking them for referrals. 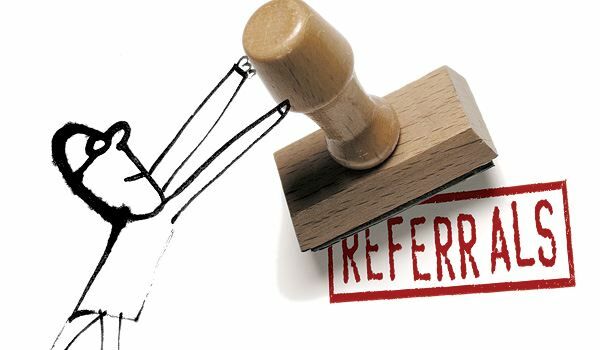 You might want to consider timing your referral request for about 3 to 6 months after they’ve become a customer. When your referral request goes out you’ll want to send your customer to your purpose-built landing page. Once the landing page is submitted by your customer, you’ll be able to track who is making the referral using this landing page and form built with your marketing automation system. Moreover, when the form is submitted you’ll send an introductory email created with your marketing automation system to the person being referred introducing your company. The web form submission serves as the “trigger” for other actions. When the trigger happens an email or postcard is automatically sent to the referral with a concise and beneficial call to action: “try us”, “free trial”, or gift card. Your marketing automation system can match the appropriate incentive with the referral’s demographics (role, job title, etc.) if needed, setting the table for more precise and relevant communication. Tracking kicks in and the referral’s interaction with your company is monitored. Based on engagement, provide the new prospect with the appropriate level of nurturing. Using automation, nurture people that were referred but did not respond so that your business remains top of mind when service is needed. Nurturing is a great way to automate touch points and systemize the referral process. We hope you enjoyed this guide on building referral programs using marketing automation. Download this free brochure on Building a Referral Program using Lead Liaison and stick it up on your wall! It will help you stay on track with setting up your referral program. Looking for software to generate leads? At its very core, marketing automation is software that works to combine the strengths of your marketing department with the strengths of your sales department. It is a system that reduces static between the two departments and streamlines every tool that each department has so they can reach the customer or prospect at the right time. This process starts at the very beginning, and this article will show you how to use marketing automation software to generate leads – but generate better leads. One of the first ways that marketing automation software generates leads is simply by recording all the information a potential lead provides from places such as advertisements, your webpage, or even email click-throughs. All of this data is aggregated within the software, and is then assigned a lead score based on the lead profile that the software is able to interpret from the leads various activity. This helps you determine which leads are ready to be approached and – sometimes even more importantly – when they are not. This makes sure that an overly enthusiastic member of your sales team won’t scare them away, keeping a potential lead from ever making a purchase from your business. However, like I said earlier, marketing automation software doesn’t just give you more leads – it gives you better leads. Let’s say you have a lead that is quite clearly not going to be converted any time soon. Do you simply walk away? Not with marketing automation software. With marketing automation, you place all of your less interested leads in low impact, noninvasive lead nurturing programs that will send helpful and friendly content that will help remind the lead that not only do you exist, but you can help them solve their problems, whether they have given you any money or not. While cold emails may seem risky, TechnologyAdvise.com has published statistics that indicate 60% of consumers read marketing emails, and any responses you get to your emails will feed directly back into your marketing automation software lead profiling technology. Another important way to use marketing automation software to generate more leads is by taking advantage of the personalization and automation tools built into the software. These tools are as varied as they are intriguing. For example, you can use social media automation tools to schedule social media posts around important dates or events, such as a trade show, in your industry. This can help make your business an active participant of the social media community surrounding the event and reach a wider audience. Another great personalization tool you can use to help generate more leads is by using your software automation to perform active advertisement testing. By sending one set of advertising materials to one group and another to a different set, you can see what material performs the best, and how different demographics respond to it. You may discover a market for your product that you didn’t even know existed – along with an entirely new set of leads. These are just some of the ways you can use marketing automation software to generate leads. Visit Lead Liaison’s marketing automation resource blog online to learn more about how you can improve you marketing automation strategies. How has the face of the marketing evolved since the origination of social networks? Before the spread of social media, good business relied solely on consumer-company interactions. In the modern day, businesses continuously search for ways to convert their consumer-company relationships into sales but the standard look of these relationships has changed. The focus has shifted from consumer–company relationships to consumer–consumer interactions. 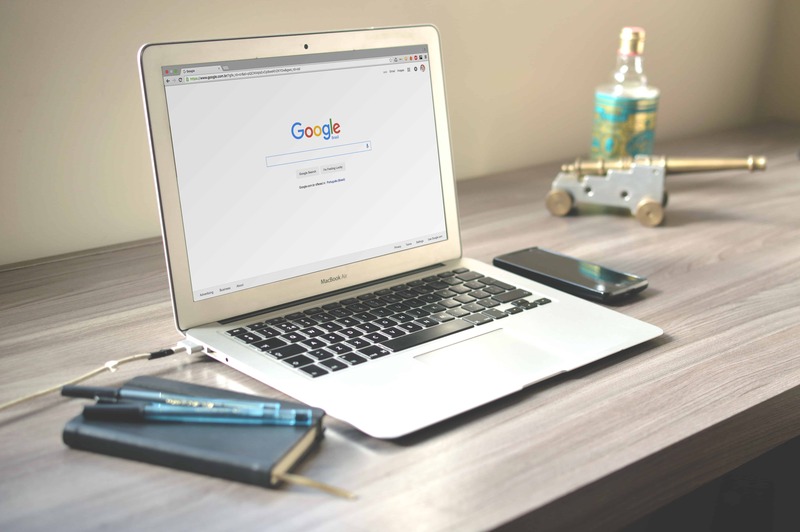 People will search in google for customer reviews of a product before they purchase because a customer is more likely to trust another customer than a company trying to make profit. Promotion of a good product in creative ways increases lead generation, but social commerce is key to driving sales. 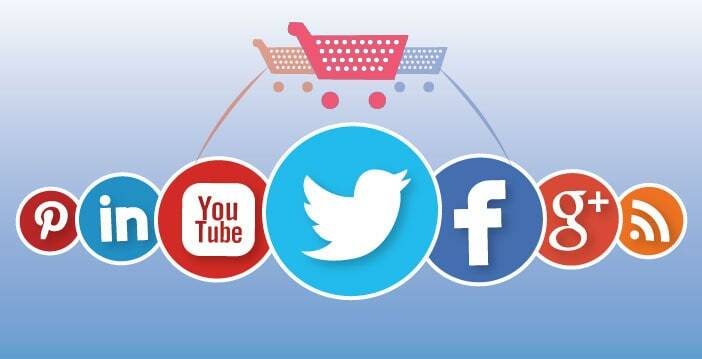 Social commerce comes in many forms including customer reviews of services and products, sponsorship deals, advertising, etc…Any type of consumer-generated content sharing is a form of social commerce. Facebook commerce, better known as F-Commerce, launched in 2011 when companies realized that the social network had a reach of 750 million users. Many people, young adults in particular, gather their news or updates from their Facebook newsfeed. Mainstream society no longer depends primarily on printed media to spread important information. Article-sharing, hashtags, and status updates encourage genuine lead generation among consumers. There are four types of F-commerce: Facebook-onsite selling, Facebook-initiated selling, selling via Facebook, and iFrames/Facebook App. By using plugins, links, consumer engagement, and allowing for creative displays, Facebook remains a viable source for increasing lead generation. As a video platform, YouTube is notably successful at lead generation. Studies have shown that colorful graphics and videos are good at attracting a consumer’s attention. In fact, it’s been said that YouTube marketing makes lead generation 50 times more successful than any text-based promotion. Online videos are inexpensive to make and possess a longevity that articles don’t have. Polyvore launched in 2011. It allows users to create collage-sets displaying different fashion and beauty trends of their own invention. The site allows the consumer to sell the product by encouraging personal creativity and lets the users promote their own designs. The materials on their collages are directly linked to product sites. The accessibility of products and the use of consumer support increases lead generation. Trendii and Polyvore share similarities, but Polyvore is limited to beauty and fashion. Trendii allows their users to create boards with any topic they desire. The site helps the consumer sell the products by establishing creative environments of user-design; Trendii effectively taps into the consumer–consumer interactions that people value. Trendii manages to help people connect virtually, widen their impact, sell to other consumers, and inspire others with their personal creativity. It takes the trending nature of global conversation and ties it to user interests. The strong consumer–consumer relationships built on the site will likely increase lead generation for products massively. 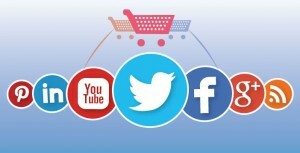 All social networks are not created equal, but sites such as Twitter, Vine, and Pinterest are making a play towards social commerce as well. Always remember that your consumers are your best marketing strategy.